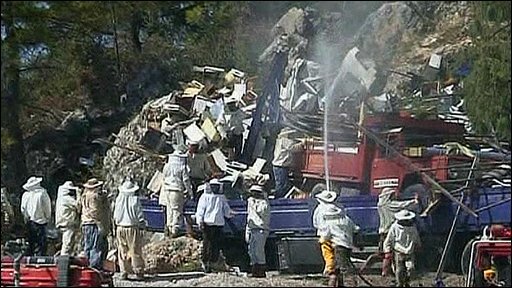 A van carrying beehives has crashed in Turkey, killing one person and injuring five, a Turkish state official has said. Emergency services arrived with beekeepers to help the victims, who were stung by a swarm of bees which had escaped from the hives. The accident occurred on a road near the Mediterranean resort of Marmaris.